﻿ Relaxation, the tune is out here! Relaxation, the tune is out here! It has been a while since I created Desire but I have been buzy lately with Relaxation and a mp3 player. I have got a terrific birthday present from my partner, the "Stylus Vinyl Groove Module". It really rocks! You should checkout the video on the Spectrasonics website to see what I mean. The tune Relaxation was already halfway when I got the Stylus Module but I managed to get some into the tune. 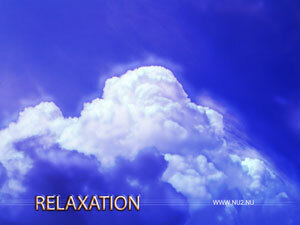 Relaxation is "again" a happy tune but a little less then Nu2Buzz. It was composed/created with Fruityloops (FLStudio). Don't flame me with the Buzz - Fruity war because I don't know exactly what the war is all about. I really like them both and I don't like wars. With Fruity I am learning to use the Compressor. I think you can hear the difference with the previous tunes. It's a big step forward. If you have any tips to create a fat sound or to let the composition breathe, please mail me. It's a bit hard to explain the breathing thing because english isn't my first language. I think it is the difference between the warmth of an LP and a little less warmth sound of a CD. You can download the song here. And please tell me what you like / dislike about the tune. I want to improve myself but I can only do that with your feedback!!!!!!!! Anyway, my son likes it very much, but he likes everything with a big beat!! When he hears the tune he keeps spinning around and around and after a minute he so dizzy, he falls on the ground. But that is not so strange when I see "big" people in the discotec! First I want to thank my partner Griet Hilverda for the great birthday present. Words cannot express my feelings. Special thanks must go to Jeroen Kessenich for his fast and critical judgement on Relaxation. I also want to thank DJ Erick for playing my tune(s) at the local bar-dancing.